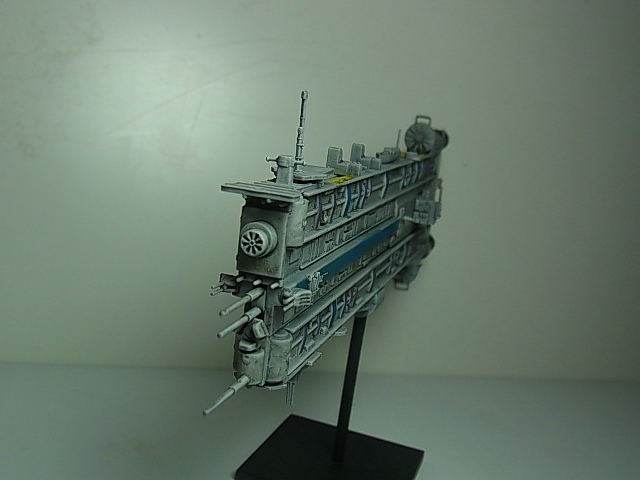 A new lillte Space ship from me, it is only 17 cm long. What's the base for construction? I can see two (grenade?) case halves, a couple of (Teller?) mines, 6 anchors & a couple of marker pen lids with wheels attached as the engines. Thanks and the Base ist from a Wargamming Modell. That's wicked! I like that a lot. 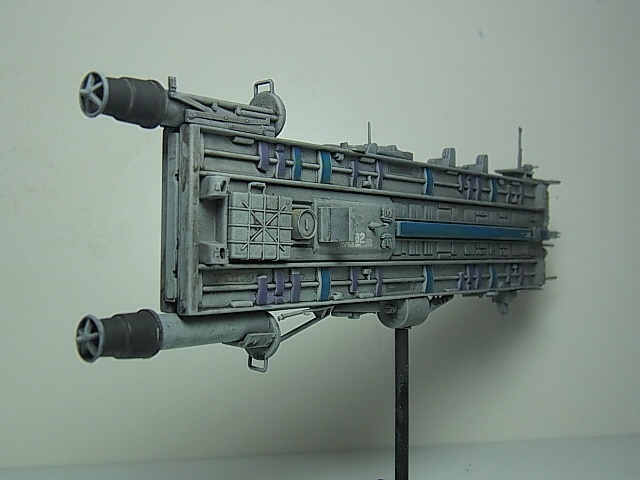 Is the body made up of 2 sandwiched lower trench plates from the Revell Venator? Neat - woudn't look out of place in Babylon 5. Was just thinking that, lol! Starship Modeller used to do sheets of transfers but I've no idea if they're still available. Way cool. For the Phoxim convoy, I assume? Just checked - only 2 types left, both "low stock". Does me no good without a Starfury to put them on, and most are out of my price range. 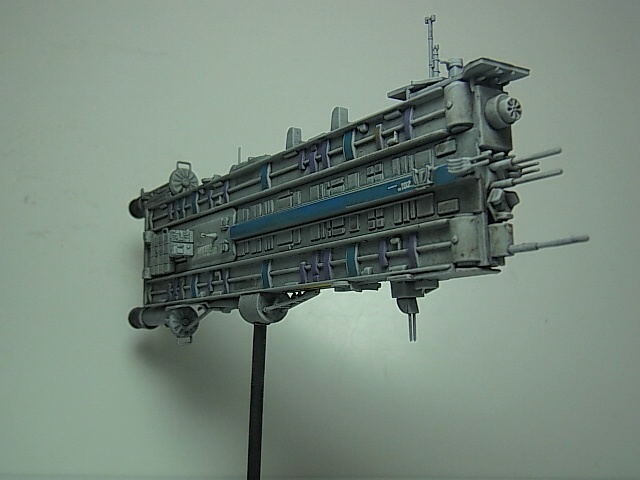 But it (the Revell 1/72 Starfury) would make a fantastic birthday gift. 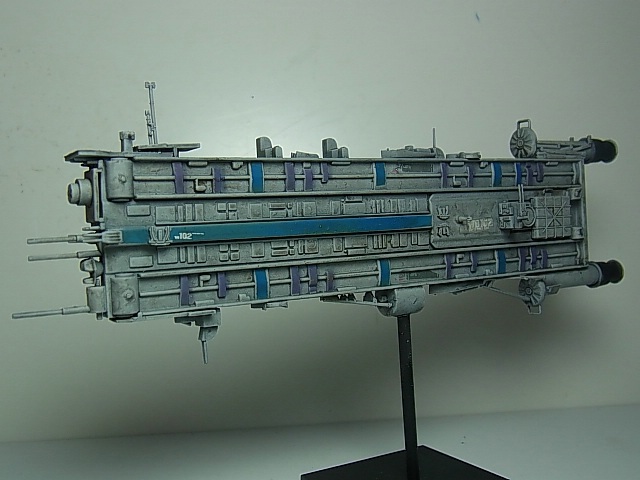 Revell should really re-pop the Starfury: even if none of their distributors took it and they only sold it direct through their website, it would still fly off the shelves.